Robert McKee vs. Richard Walter is not the latest MMA match-up. Just my way of showing how two well-respected screenwriting teachers can disagree on a fundamental point. 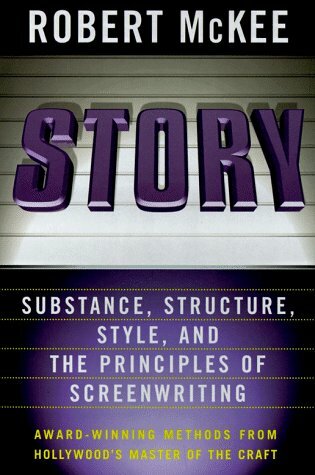 Walter believes strongly that writers “should tell their own personal story.” On the other hand, screenwriting instructor Robert McKee in his book STORY says that’s exactly what writers shouldn’t do. Screenwriting wars! “Decades spent writing and teaching have taught me that writers’ own personal stories are the only story they should write. Even if a writer attempts vigorously to do otherwise, even if he works on an assignment writing a script for hire based on someone else’s idea, even an idea totally alien to his own experience, he will nonetheless end up telling nothing other that his own personal tale. Whatever the original concept, however specific, however narrow, in all instances is filtered through the peculiar sensibilities of the specific writer. In the end, despite himself, the writer will create a tale that is personal. It is one battle in which defeat actually amounts to victory. Interesting. Two well-respected teachers, and two totally different views. One calling the personal story where every writer should start and the other saying it’s the first typical mistake of the failed screenplay. So who’s right? If you got the two instructors together, you could probably have a three-day conference discussing the topic. Is there any way, they could both be right? I have seen many films (usually shorts) and read quite a few scripts that I would call small personal stories. Little or nothing happens in these stories and to use the words of director/film teacher Alexander Mackendrick they tend to fall under the description, “Long, too long, much too long.” They’re personal, but they’re boring. Walter in using “personal story” to address the big picture. We are writing about ourselves in terms of our deepest fears and desires. We are tapping into the core of our existence. It has nothing to do with ironing and typing, but of a hunger for significance. Rocky is a personal film, not because Stallone was once a club boxer whose day job was collecting money for loan sharks. But Rocky is a personal story because Stallone was once a struggling actor/writer who knew if he got a shot he could do something special. If you read the backstories of screenwriters and directors time after time you will find that in the movies they’ve made they were telling an aspect of their own personal story. Hitchcock, Spielberg, and Scorsese are all personal storytellers. The script I just finished is about a young, inexperienced cop in a small town in Iowa who is faced with solving the first murder in the town’s history. I’ve never been a cop in a small town in Iowa, but I am aware that the theme of the story deals with my own personal story. The power of theme in movies is what’s on screen interacts with the personal stories of those in the audiences. Perhaps that’s why I like about the phrase ’emotional autobiography.’ It’s less ambiguous. The King’s Speech and Toy Story 3 are recent examples that I’d consider emotional autobiography. In fact, I think the definition of Pixar is emotional autobiography. The great thing about this film (Up) and any film we work on is that it contains truths taken from our lives. Pixar lets the directors create an ‘autobiography.’ In other words, things that are important to us make it into the film. I’ve learned a lot from both McKee and Walter over the years. 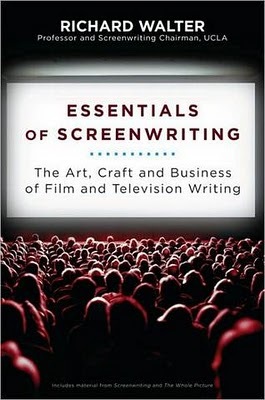 And, in screenwriting, like most creative disciplines you will find many different ways to approach your writing. Find what works for you. And the best way to do that is keep cranking out the pages. At the end of last year I was fortunate to interview Walter and over the next several days I will be posting several of his comments from that interview as well as pulling quotes from his various books. If you are unfamiliar with his work check out his website RichardWalter.com. “It has nothing to do with ironing and typing, but of a hunger for significance.” Great line, Scott. I think we cannot help but tell that story and it becomes very telling, looking over a screenwriters lifetime body of work, just who they are and what they seek. That’s the beauty of story – it is hopeful in that it reminds us metaphorically, that we are all the same in ways that matter. Love it particularly when a great writer can accomplish that in a great comedy. It’s rare but there’s nothing like sharing laughter. Thanks Carla. When I studied acting there were two approaches, inside and outside. The inside school of acting started by looking inside yourself and brought your life experiences to the role. You internalized the role and then worked outward. The actor here may even read about the writer for clues on the character. The outside school of acting was interested on perhaps what the actor would wear, and how he or she would walk and talk. Many from this school could care less to know anything about the writer and their intentions. And, of course, the internal actor has to externalize their role, and the external usually finds a way to internalize their role. Again, two different schools of thought that both have produced wonderful actors.